The Fourth of July has extra special meaning to me. 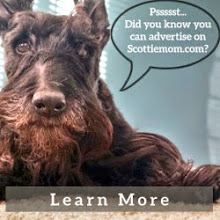 Not only does it commemorate the birth of the United States of America, it also marks the day ScottieMom.com was born. 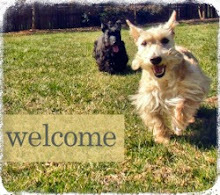 That's right, on Independence Day four years ago, I started the blog as a relatively new Scottie Mom looking for answers to Heather and Mr. K's health issues. As we enter into our fifth year blogging, I marvel at how the Scottie Mom (and Dad!) community has grown and am grateful for your continued support. We truly have much to celebrate this year. From our Scottie family doubling in size to Heather going on 12 years young and being named PEOPLE Pets' #cutepic winner on Twitter for our patriotic pups photo (below), I'm reminded daily how fortunate we are to have a platform to entertain fellow Scottie Moms and Dads while supporting the cause that is near and dear to my heart: rescue. Happy Fourth of July, friends! Remember to celebrate responsibly and in style. Please keep those furry friends indoors while you enjoy the fireworks. Or, if you're like me, forego the fireworks all together and opt for a quiet night in with the pups. Thank you all for four incredible years of cute Scotties and more. I look forward to sharing many more adventures with you in the years to come. Feel free to leave suggestions of things you'd like to see from us in the comments below. A lot of Scottie rescues available? Not here in the SW. There's a lot of chihuahuas here and they're flying them to the NW where there aren't many. Why can't they return with terriers? Inquiring burd brains want to know. Love Heather's 4th of July hat. What a darling picture! I love 'em all! They are so adorable!! Thank you so much for all of the great info and pictures you provide on your blogs!! Happy Blogiversary!!!! Thank you for all of the great work you do creating your Scottiemom blog. They are a delight to read! I agree with Kismet---here, in Southern CA, Scottie dogs are extremely scarce! I did manage to find one who adopted us going on 3 years ago on Scottie Rescue of California. But out West they are few and far between! 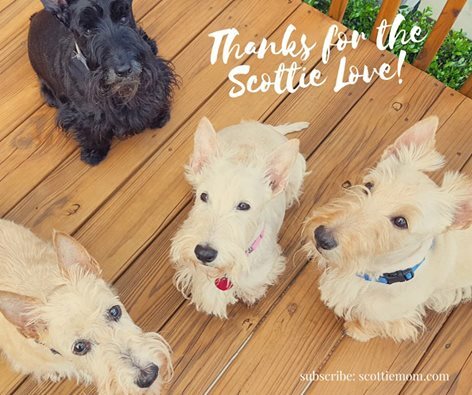 Thank you again for showing us your gorgeous Scotties!